Pork tenderloin is often overlooked when it's time to fire up the grill. That's too bad, because it's an excellent source of lean protein that'll show your muscles some love—and it's less likely to dry out on the grill. 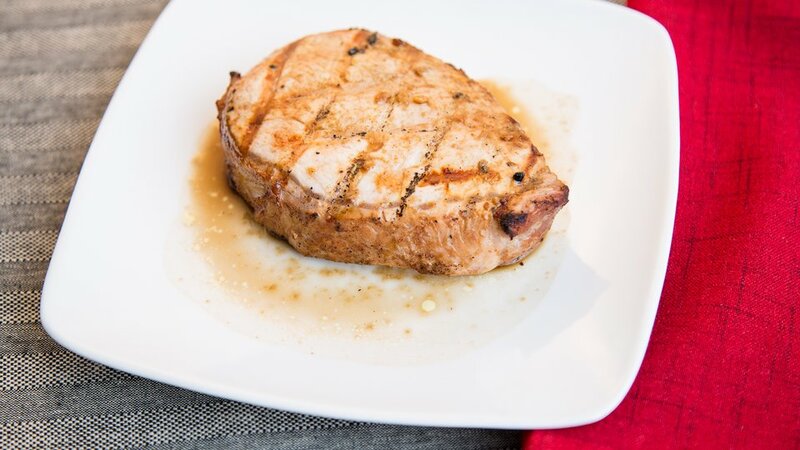 To feast on safer meat, marinate it in beer for at least 4 hours (to avoid creating harmful compounds), tenderize the meat, and lay the foundation for a stellar finishing sauce. Place pork in a large shallow container. In a bowl, whisk together beer, lime juice, olive oil, garlic, thyme, cumin, salt, black pepper, and cayenne. Add marinade to pork, turn meat to coat, cover, and marinate in refrigerator for 4 hours or more. Remove pork from marinade, letting excess drip off. Reserve marinade. Grill pork for about 12 minutes, turning a couple times, until it reaches an internal temperature of 145°F. Let meat rest for 5 minutes before slicing. Place reserved marinade in a saucepan, bring to a boil and simmer over medium-high heat until reduced by nearly a half, about 5 minutes. Serve pork topped with beer sauce and parsley.